There’s a debate heating up in Michigan about how best to regulate the growing number of short-term rental homes, which includes vacation rentals. As more Michigan property owners use websites like Airbnb, VRBO, and Homeaway to rent out their homes to guests, concerns have arisen about neighborhood disturbances, litter, trespassing, increased traffic, and parked cars blocking the street. Additional concerns include the impact of short-term rentals on neighborhood property values and the health and safety of renters. And, of course, there are also those in the hotel lodging industry who don’t like the competition from vacation rentals. A growing number of municipalities throughout Michigan are reacting to complaints about disturbances by using zoning ordinances to restrict or outright ban short-term rentals by redefining them as commercial rather than residential properties. Two identical bills currently under consideration in the Michigan state legislature would protect homeowners’ property rights by recognizing that the commercial activity of renting out one’s home does not alter the fundamentally residential nature of the property. Unfortunately, the media has only muddied the issue and stirred unnecessary controversy by misinforming the public about these bills and what they would—or would not—do. Contrary to what opponents claim, the bills would not stop municipalities from enacting reasonable regulations to address concerns about short-term rentals. One of the main justifications for the use of zoning laws to regulate short-term rentals is that since this is a commercial activity, it ought to be restricted to commercial zones and not allowed in our residential communities—or at least strictly limited. The logic of this argument, however, does not hold up. That a privately owned home may be used for commercial activity does not change its classification as a residential property. Landlords lawfully engage in the commercial business activity of renting homes, yet it would be absurd to propose banning homeowner landlords from renting their homes to families for that reason. A growing number of people today are running businesses out of their private residences. A builder might have a workshop in his garage. A single mom might make a living from home by blogging about food or parenting. There are countless e-commerce enterprises being run out of homes. None of these activities alter the fact that their homes are residences. A rented home, regardless of the length of term, occupied for the purpose of lodging or housing, remains a residential property. This important distinction between commercial business activity taking place out of one’s home and the classification of a property as commercial for zoning purposes is recognized under Michigan law. According to the Michigan State Tax Commission, a property that is used for residential purposes is “properly classified residential”. Likewise, a property that is primarily used for recreational activities, such as a “vacation cottage”, is properly residential in nature. Illustrating the distinction, the commission states that property used primarily as a private residence, but whose owner also earns income by running a Bed and Breakfast out of the home, should still be properly classified as residential. The law also explicitly clarifies that classification of a property as residential for zoning purposes does not prohibit municipalities from regulating things like noise or traffic. Many property owners buy vacation homes to use as a private residence, but seek to offset the costs of homeownership by renting it out when not in use by their family or friends. This does not change the fundamentally residential nature of their property. It is still their home. While they must respect the equal rights off their neighbors in doing so, property owners have a right to rent out their homes. Unfortunately, “courts routinely uphold intrusions on private property rights, even where they are supported by only the flimsiest justifications.” Regulatory infringements of property rights “are often more burdensome to property owners than the outright use of eminent domain, because in an eminent domain case, the owner is at least entitled to just compensation, while under today’s precedent, the owner whose property value is diminished by a regulatory taking usually cannot hope for just compensation….” This is certainly the case when municipal officials use zoning laws to prohibit home owners from renting out their property. Such use of zoning laws is an inappropriate use of authority. The implications of this abuse of authority on our fundamental liberties must be considered. If local governments are allowed to use their zoning authority to prohibit commercial activity out of one’s residence, what’s next? Will residents no longer be able to have garage or yard sales? Will builders have to relocate their workshops? Will the single mom blogger be guilty of black market activity for earning a living from home? What about artists who maintain a studio out of their homes? Hair stylists? Examples are limited only by the imagination. Obviously, these situations are not comparable to short-term rentals in that they may not represent any cause for concern to the community. But the logic is the same. Municipalities might never actually use their zoning authority to regulate yard sales or assert themselves into how someone runs their online business, but that is precisely the authority they are claiming to have. This represents a serious threat to the rights of property owners, the full implications of which must be taken into consideration. Some home owners are fighting back. In a recent lawsuit, the city of South Haven, Michigan, reached a settlement with a short-term rental owner who challenged the city’s authority to restrict her rental business, resulting in the city paying over $575,000 under the terms of the settlement. The argument that short-term rentals are harmful because they impact property values provides another illustration of why using zoning ordinances to restrict short-term rentals is so inappropriate. Ironically, opponents of short-term rentals present conflicting arguments about the impact on home prices and why it’s supposed to be bad. In Grand Haven, where city officials have used their zoning authority to temporarily ban short-term rentals while the public debate continues about whether to allow it in some residential areas, one of the concerns expressed is that allowing this activity “may devalue neighborhoods”. The use of zoning laws to restrict short-term rentals has also been under consideration in Mackinaw City, whose village council has similarly argued that without such restrictions, this activity “will cause depreciation of property values”. On the other hand, the Michigan Municipal League (MML), described by The Detroit News as a “coalition of hotel owners, local officials and homeowners”, has argued that more short-term rentals would “push up housing costs, making affordable housing less available to those who need it.” In Traverse City, where officials have used zoning laws to ban vacation rentals, city commissioners have cited as justification the need to prevent an increase in property values. Clearly, opponents of short-term rentals cannot have it both ways. Regardless of whether short-term rentals increase or decrease property values, this cannot reasonably be used as a justification for infringing on the right of property owners to rent out their homes. Any time prices for anything in the market change, there are going to be some who see this as beneficial and others who don’t. This is not a justification for legislative attempts to engage in price fixing. The pricing of goods, services, and assets is best left to the market, to be determined on the basis of supply and demand rather than by government fiat and the personal whims and preferences of local authorities. 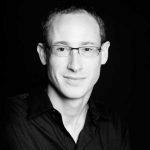 While the impact of short-term rentals on property values is going to differ by location, it is reasonable to assume that they generally have a positive impact. Banning vacation rentals, for example, results in loss of revenue to property owners that could otherwise be used for maintenance and improvements that would increase neighborhood property values. There’s an added financial incentive to invest in home improvements, too, since this could result in more bookings or allow homeowners to charge higher rates to rent their home. And what neighboring home owner would not see the benefit of an increase in their home’s value due to the short-term rental activity happening next door? The arguments about property values are not only self-contradictory, but also reveal ignorance about basic economics. While it isn’t clear what reasoning underlies the Mackinaw City Village Council’s belief that short-term rentals result in depreciation of property values, the concern in Grand Haven seems to be that, if many owners buy properties to use as a vacation home, rather than as a primary residence, neighborhoods will turn into “a dark place in the winter.” This ignores the fact that demand for vacation homes doesn’t replace but is in addition to the demand for primary residences. This increased demand for housing, supply remaining the same, results in an increase, not a decrease, in home prices. Similarly, the argument against short-term rentals on the grounds they create a dearth of “affordable” housing, however one might define this term, reveals a lack of understanding about how the economy functions. The rise in home prices due to the additional demand for vacation homes creates a strong incentive for developers to construct new homes. This puts downward pressure on prices again as the supply increases to meet existing demand. Furthermore, the new construction creates jobs for the local labor force. By helping meet travelers’ demand for accommodations, vacation rentals also provide a boost to other local businesses that are dependent on tourism. As more tourist dollars come into the local economy, the demand for labor increases and businesses competing for that labor raise wages. Short-term rentals are therefore not harmful to low-income families demanding affordable housing. On the contrary, economic growth—including the boost to the local economy that results from short-term rental activity—is precisely how families become able to afford homes that were once out of their reach. Restricting or banning vacation rentals through zoning laws doesn’t help keep homes “affordable” so much as it keeps residents from being able to afford nicer ones by hindering growth of the local economy. The harm caused through such shortsighted use of zoning ordinances is considerable—and not only to the property owner, but also to the wider community and the state as a whole. The negative consequences of such regulation include loss of jobs, loss of income to local businesses, and loss of tax revenue to local and state governments. A leading advocate of the use of zoning laws to restrict short-term rentals, the Michigan Municipal League argues that they “place additional burdens on local sewer, water, trash pick-up, parking, law enforcement and emergency services — with zero support to communities for those costs.” But that statement simply is not true. Ms. Sandefur, who is coauthor of the book Cornerstone of Liberty: Property Rights in 21st-Century America, also points out that the ability to exercise one’s right to rent out one’s home provides a strong incentive for people to buy older homes and restore them to their original condition, or to renovate and improve them. But instead of “rewarding these entrepreneurs for creating value”, regulators across the country are increasingly “punishing people”, including in some cases with criminal penalties, for allowing guests to stay in their homes. Looking at the city of St. Joseph, Michigan, an economic impact study conducted by the economic analysis and public policy consulting firm TXP found that short-term rental activity in 2013 created $24 million in economic output and 300 local jobs. This is likely a conservative estimate since it only included the short-term rental activities of the member companies of the Short Term Rental Advocacy Center (STRAC), which contracted TXP to conduct the study. This means that short-term rentals not listed on Airbnb, HomeAway, or FlipKey were not included in the analysis. The study pointed out that short-term rental homes are “a budget-friendly option for families and groups”, allowing them to save money compared to the cost of staying in a hotel. This helps meet the demand for accommodations from visitors who might not otherwise be able to afford the trip. The findings of this economic impact study are relevant not only to St. Joseph—where city officials in 2013 used their zoning authority to ban new short-term rentals in residential neighborhoods—but also to the whole state. According to a study conducted by the economic impact assessment and consulting firm Tourism Economics, for the state of Michigan as a whole, “Visitor spending of $22.8 billion generated $37.8 billion in total business sales in 2014 as visitor dollars flowed through the state’s economy.” This sustained 326,685 jobs, representing 6.2 percent of all jobs in the state and $10.6 billion in income. Traveler-supported employment represented 6.2 percent of all employment in Michigan. The study highlighted that growth in traveler spending has been particularly supported by the Food and Beverages and Lodging industries. In 2014, spending on lodging amounted to over $5 billion, or 22.2 percent of total traveler spending, which represented an increase from previous years attributable to “growth in both occupancy and room rates”. The growth in traveler spending from the previous year amounted to $830 million, more than 40 percent of which was in the lodging or food and beverage category. Clearly, tourism is a vital part of Michigan’s economy, and the growing short-term rental business plays an important role in helping to the state to compete for tourists’ dollars by meeting their demand for affordable accommodations and unique travel experiences. The positive economic impact of short-term rentals highlights another negative aspect of efforts to use zoning laws to restrict or ban this activity, which is the message it sends to visitors. What it communicates to travelers is that they are welcome to come spend their money here, but they are not welcome within our communities outside of places where commerce happens. One of the attractions of vacation rentals to travelers is that it grants them a unique opportunity to “live like a local”. Prohibiting short-term rentals takes that experience away from them. Some travelers love the beauty and sense of community here in northern Michigan so much that they return again and again—and some of those visitors end up buying a home of their own here. 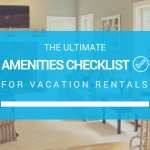 Solutions to concerns about vacation rentals must not undermine that important sense of community or send the message to rental guests that they are not really welcome here. Solutions to the problems that arise from the minority of renters who are discourteous to neighbors or the wider community must not indiscriminately impact the activities of respectful guests, prejudice the rights of responsible homeowners, or inhibit the economic growth required for residents of our communities—including low-income families—to increase their standard of living. 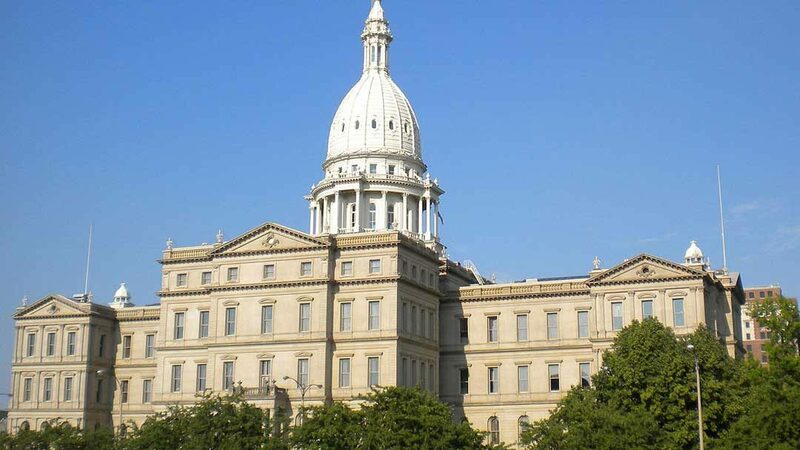 To protect the private property rights of home owners, two identical bills—Senate Bill 329 and House Bill 4503—have been introduced into the Michigan state legislature. These bills have stirred much unnecessary controversy due to misinformation about what they would or would not do. Media reports about the issue have shown bias favoring the perspective of those advocating the use of zoning laws to regulate short-term rentals. Unfortunately, because of this bias, the media has only helped to further cloud the issue rather than properly informing the public what it’s really all about so that proper solutions can be found. For example, the subtitle of an article published in the Traverse City Record-Eagle declared that Senate Bill 329, which was introduced on April 25 by Senator Joe Hune, “calls for ending local control of short-term rental”. That is absolutely false. As more accurately explained further down the page, it would only prevent local officials from restricting short-term rentals through zoning laws, but regrettably the distinction was likely lost on many if not most readers—particularly thanks to the false subtitle. The same article was republished by The Detroit News under the headline “Traverse City fears losing control of rentals”. This reveals the article’s bias in favor of the perspective of Traverse City officials who have used zoning laws ban vacation rentals. Further compounding the misinformation, the same article was then publicized nationally by the Associated Press (AP). The false headline in the Washington Times read: “Michigan bill to end local control of short-term rentals”. The bills are opposed by Charlevoix city council members who want to use zoning ordinances to restrict short-term rentals. They argue that “local communities should be allowed to legislate what works best for them and not have bureaucrats in Lansing force their will upon us”. But the Senate and House bills are not about preventing local communities from finding solutions that work best for them. On the contrary, they are about allowing community residents to find solutions that work best for them without city officials forcing their will upon property owners through arbitrary decision-making about things like which neighborhoods renting will be allowed in (if any), which owners in those areas will be allowed to rent, and how those permitted owners should go about their business. The lack of understanding about the economic impacts has been accompanied by a lack of understanding about private property rights. A Cheboygan Daily Tribune article stated that the proposed bills “would make short-term renting of private property a right in Michigan”. Rights are not derived from legislature. As Thomas Jefferson wrote in the Declaration of Independence, rights are endowed to us by our Creator and unalienable. The bills do not grant homeowners the right to rent their properties. No legislation can do that. Property owners have that right naturally. The bills simply recognize that right. The editorial board of the Petoskey News-Review has expressed its opposition to the bills by arguing that, “When it comes to setting policy for short-term residential rentals, we don’t think one size will fit all for communities around Michigan.” The reality is that it is municipal authorities who are taking a one-size-fits-all approach that indiscriminately harms respectable guests and responsible owners—not to mention the harm to the local economy. Officials taking this approach include those from the City of Petoskey, which in 2014 banned new short-term rentals. The bills are short and to the point. They would simply amend the Michigan Zoning Enabling Act to recognize the right of property owners to rent their homes—the same as it already explicitly recognizes the right of property owners to run a family child care business out of their homes. So what can explain the misinformation? Evidently, journalists and editors haven’t taken the time to actually read the legislation before exerting efforts to persuade the public to form a negative opinion about it. The lack of objectivity is also evident in how the perspective of those who advocate such use of zoning laws is given far more weight than proponents of property rights. This poor journalism is especially regrettable given the harm it could cause to the economy. While municipal officials would retain regulatory authorities if the bills are passed, it’s important to also recognize the self-regulating nature of the market. A stark illustration of this is the role that professional vacation rental management companies play in helping to alleviate communities’ concerns. 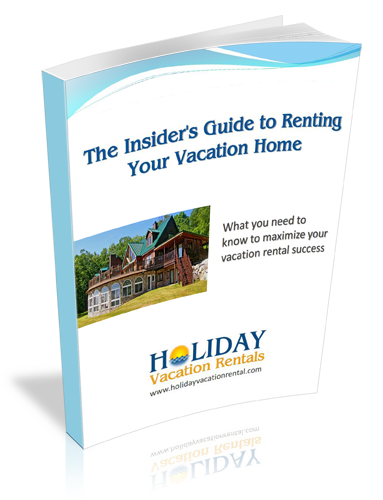 Frequently, it is vacation rental managers (VRMs) who are in the best position to address such concerns. Through rental agreements, they enforce community standards and local ordinances, occupancy limits, parking restrictions, rubbish control, and noise ordinances. Enforcement mechanisms include fines, eviction without refund, and reporting abuses to the civil authorities. Since VRMs are often able to effectively mitigate problematic behavior without outside intervention, they help reduce the burden on police and other authorities, in addition to helping to bring in more tax revenue from traveler spending. This increased spending also benefits other local businesses. Additionally, VRMs support the local economy by creating a wide range of jobs, including positions in sales, management, marketing, administration, property maintenance, and housecleaning. Here at Holiday Vacation Rentals, we do our part to help travelers and homeowners connect and to bring business to the local economy while enforcing a “good-neighbor” policy for homes in our rental program, which is enforced through our rental agreements. Occupancy limits, quiet hours, parking rules, prohibitions on smoking or fireworks, property care, and respectful behavior are standard requirement at all rental properties. We provide our guests with a 24-hour emergency hotline for assistance when unexpected events occur and help to educate homeowners about the importance of maintaining their homes to ensure the safety of their families, friends, and rental guests. For example, we advise homeowners about the type of insurance they should have , emphasize the importance of using carbon monoxide detectors in addition to smoke detectors, and explain the need to maintain homes for safety, like proper maintenance of decks and railings. Among other incentives for home owners to partner with VRMs is that, more travelers prefer to rent through professional management companies than directly with owners. Among the reasons for this, according to one study, is increased confidence that they would be able to contact someone if an issue arises, as well as greater trust that the property will be professionally cleaned and maintained to a higher standard. The use of zoning ordinances to restrict or outright ban vacation rentals is an unacceptable abuse of authority that prejudices the property rights of home owners. It is also shortsighted and counterproductive since short-term rentals support the economy in many important ways at both the local and state levels. Contrary to false media reports, Senate Bill 329 and House Bill 4503 would not prohibit local governments from taking reasonable measures to regulate short-term rental activities. They would simply recognize and protect the right of property owners to rent their homes out to guests. Alternative solutions already exist to address communities’ concerns about the impact of short-term rentals on their neighborhoods without gravely endangering property rights. With or without government intervention at either the state or local level, professional vacation rental management companies play an important role in helping responsible home owners manage their rental businesses from a distance while ensuring that guests remain respectful toward our communities. We urge residents in northern Michigan and throughout the state to contact your representatives in the House and Senate to express your support for Senate Bill 329 and House Bill 4503. Click here to quickly and easily send a letter to your representative asking them to support this important legislation.